The world is full of contradictions and marketing’s no exception. Sérgio Brodsky lends his two cents on the brand debate. Brands are stories. Narratives that infuse meaning to otherwise inanimate commodities. Interestingly, such stories are just as real as the tangible products, services or entities they animate. According to neuroscience the human brain does not distinguish between reading or hearing a story and experiencing it in real life. In both cases, the same neurological regions are activated. Our realities, factual or dreamed, are one and the same. And, when dreams are reality, art is science and emotion is reason. If this sounds like Alice’s fall in the rabbit’s role, it’s because that’s exactly what consumers are asked every time they face a brand interaction – to buy into a concept – the product is just a vehicle for it. To quote Ridderstrale and Nordstrom in their book, Funky Business, “Nowadays the really hard stuff is the soft stuff.” Or, the real sell is of the sizzle and then the sausage. The stock exchange market offers a very similar parallel where value is a lot more impacted by the stories told about companies than the numbers presented on annual reports. 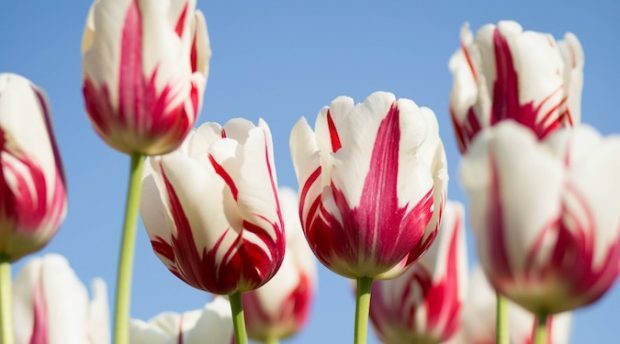 How can one ever prove that a Semper Augustus tulip bulb, during the heights of Holland’s Tulip mania, was actually worth the same as 12 acres of land?! It’s the story, stupid! In this sense, a brand’s narrative is a business’ most valuable commercial asset. It increases the chances of customers choosing your product or service over your competitors’, attracting more customers, at a lower cost per sale, who are happy to pay a little more, and will buy it a little more often. A strong brand narrative will deliver more revenue, profit and growth, more efficiently, year after year, and thus generate more shareholder value. In this sense, reality is in our heads. Objectivity is no longer ‘out there’. From Trump to Tesla, what we intuitively feel is what feels true. Surreal executions have proved successful because they are not trying to fool us but entertain with an alternative reality that is then shared between brand and audiences. If we look at the hospitality market, the consumer is willing to accept pub and bar concepts at two ends of this real-surreal dimension. The consumer is familiarised and satisfied with traditional pubs boasting open fires and velvet upholstering and sees these as offering something ‘real’ and authentic. At the other extreme, many consumers are equally happy with bars that are minimalist and modern, which feel designed in a single-minded way. They use chrome and light woods instead of dark woods and carpets. These venues do not attempt to deliver authenticity, but what they achieve for the consumer is a sense of integrity. They are not judged on the ‘real’ or the ‘authentic’ criteria. They are judged in terms of whether they have achieved a certain vision. Hospitality venues that are stuck in the middle of these two dimensions (AKA ‘plastic pubs’) are the ones that suffer most and are often rejected as trying to be something that they are not; perceived to being artificially designed. According to Vincent Lazzara, Victorian chairman at the Australian Graphic Design Association and strategy director at Bluetorch, brand designers must make a choice between being real and authentic or surreal and integral. “Brand experiences are increasingly designed to interact with consumers’ desires, or to perpetuate their dreams of what the brand stands for. “Consumers either want an experience steeped in heritage, authenticity and artisanal quality, or to be invited into a unique world that expresses the singular vision of the brand owner. 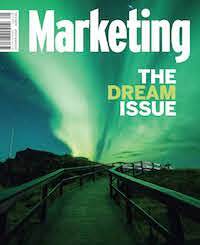 In this ‘dream economy’ the grand awakening for marketers is that consumers have changed the rules, no longer hidden on fine prints but within the confine of their minds. A good analogy for modern advertising executions is icebergs. Their tip often communicates the desired message and what is written in the creative brief. Beneath the surface they then go on to communicate functional and image values. In this quest for depicting surreal yet true and simple yet complex experiences, compelling without confusing is a challenge creatives must overcome to captivate hearts and minds. For master storyteller Ricardo Wolff, executive creative director at Innocean Europe, advertising that unleashes dreams and opens wallets is one that respects the costumer’s intelligence. That connects in a deeper level, through emotion or wit, and establishes a dialogue. “Advertising has always been a one-way street until the web kicked in and exploded this boring street into an endless spectrum of touch points. So in the midst of all these channels, online and off, it’s a damn hard challenge to cut through and start a relevant conversation. As much as marketing science has been dominating much of the industry discourse over the last five years, artfulness of interpretation and communication still rules. Professors Mark Ritson and Koen Pawels – refuting Byron Sharp’s recent claims that the value of brand image is questionable – contend that brand perception is as real as it can be. As effective as distinctiveness might be, meaninglessness is what can strip a brand of its equities and send it back to the cold rationality of commodities. We are living in a new paradigm. Contradictions will only appear at the moment when your brand’s projected values are no longer matching your audiences’ dreamed realities.